When the brother or relation of the weak is beaten, he Will start blaming the brother. But when a relation of a strong man is beaten, he will beat the aggressor silly and await for settlement later. Whether the brother is right or wrong does not matter. This appear to be the faith of many Igbos in Nigeria. The psychology of being the weak has led them to accept being beaten. Many don't even care that their brother has been killed unjustly rather the pour praises on the aggressor. Somewhere I read , the federal government appealing, inviting and even paying money to Boko haram leaders and fulani heardsmen to stop killing innocent people. ncouraged our aggressor to continue killing the igbos unabated. Ndigbo wake up. Money is not everything. The number of roadblocks in the South East is far more than what you see in the North East where Boko haram has declared full blown war against the Nigerian state. Our people have truly been been dehumanized and reduced to a state of unshockability. Thank God that some of our intellectuals like Prof Obi Nwakanma , Prof Uzodinma Nwala and others are speaking. You are not bound to say something but stop condemning yourselves openly. Stop the encouragement of your brothers killers. Psychological trauma, feeling of a defeatist and a second class citizen is worst than a dead person. We over struggle in our country to survive and there appear to be deliberate efforts to keep our people down and yet some of our people appear ok with that. 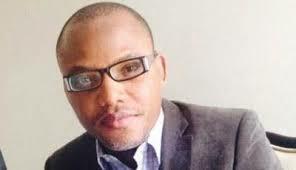 Like him or hate him Nnamdi Kalu has woken the consciousness of the nation and today things are happening. The indifference of those who should have spoken when it mattered most and the silent voice of justice makes evil to triumph. Igbo hatters are emboldened sometimes because of the way we talk about ourselves and this is the reason some people say igbos hate themselves or that igbos are not United. Ndigbo pls read inbetween the lines. Be smart, be wise .